My story really begins with my father, who was the dominant figure in my early life. Nic Franzen was born in March 1911 in the town of Esch-sur-Alzette, the second largest in my country Luxembourg. The river Alzette, which gave the Luxembourg national anthem its colloquial name, enters the country from France and passes under this town as a small creek before heading north to the capital city and beyond. Nic was the second of six children. He remembered a little bit about the Great War, in which our German neighbors crossed our country to attack our Belgian and French neighbors. There was no fighting on our soil as we did not have an army to oppose the Germans, but some action took place just over our borders. Nic was in second grade when the war ended in 1918. I don't remember him talking much about his youth and his first decade as an adult before the start of the second war in his life, World War II. His brief memoirs, which he recorded not long before his death in 1991, cover the period between the wars very sparsely. 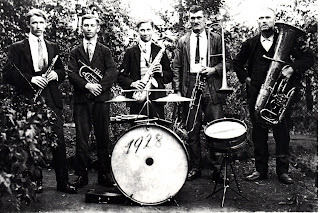 He did tell us his children some stories from the time in the late 1920s and early 1930s when he played dance music in local taverns on both sides of the French-Luxembourg border with his father, uncle and some of his brothers. He used to play the trumpet. By trade he was a mechanical fitter and welder. Sometimes he told us with some pride that he had read books by great philosophers such as Kant, Nietzsche and Schopenhauer. He wanted to impress us with the importance of learning. When World War II came to Luxembourg with a German invasion in May 1940 Nic was shocked to find that the country's leaders around Grand Duchess Charlotte and her family fled abroad. I don't remember him mentioning it but it was a stark contrast to the action of Charlotte's elder sister Marie Adelheid, who as a very young head of state had stayed in the country when the German Army invaded in 1914. Marie Adelheid was later hounded mercilessly by politicians and the local press for being too friendly with the Germans, and abdicated in disgrace in favor of Charlotte. She briefly served as a nun in Italy but fell gravely ill and died of influenza at her mother's residence in Germany before she reached age 30. My father felt Charlotte and her cabinet had abandoned the country to save their own skins. He believed that had they stayed they might have been able to intercede with the Germans on behalf of the Luxembourg people to alleviate the harsh conditions they imposed during the occupation. Of course, perhaps Charlotte wanted to avoid suffering the same fate as her hapless sister. Since his youth Nic had been fascinated by airplanes, and when the German Nazi Air Corps offered free flying lessons on gliders in 1941 he applied. He then went to a flight school in Germany twice for one month and returned with a license to fly glider planes. The following year he enlisted in the Luftwaffe, the German air force, hoping to learn to fly fighter aircraft. After going through basic training at Reims in France he worked as an aircraft ordnance technician at Juvincourt airfield near that town for eight months. Later he was assigned to the Richthofen fighter wing at Triqueville near the English Channel. His dream was to fly the fighters he serviced but he learned that the Luftwaffe did not accept anyone over the age of 28 for pilot training. As he was already 31 at the time he was considered too old. In his memoirs he wrote that he considered desertion when he realized his dream could not be fulfilled. However he did enjoy the adventurous life at Triqueville airfield, where they were almost daily under attack from British and American aircraft. He received permission from his superiors to build an improvised anti-aircraft weapon by attaching a 20-mm machine gun from a fighter to a tripod with a turntable bearing he had welded together. A hole was dug for him where he placed his device with boxes of ammunition. When his comrades were taken away to shelters before a raid he would stay behind and fire at the attacking aircraft from his hole in the ground. Sometime later when their airfield was almost totally destroyed by heavy bombardments his unit was ordered to move to another location in northern France, and then another, and another. Nic wrote in his memoirs that because he spoke French well he was occasionally sent on errands to different places around France. At one point he got orders to move to an airfield at Aix-en-Provence near the French Mediterranean coast. He wrote that he loved that area very much. One of his missions was to take 100 anti-ship bombs from the Paris area on a special train to Marseille, which took as long as 22 days because of sabotage of the rail lines by the French resistance. In the fall of 1944, after Allied forces broke out from their beachheads in Normandy and in the south of France, his unit was ordered back to Germany. They stayed in a village north of Frankfurt during most of the winter but then moved east and south as they lost more and more of their aircraft. Finally, when they had no more planes, the remnants of the unit drove their trucks to Munich. At this point there is a break in my father's memoirs, where he mentions only that he escaped from American “detention.” He does not explain how he was captured by the Americans or where and how long he was held until he managed to flee. I remember him telling me the Americans did not feed him, and I thought he also said one or more of his fellow inmates were killed during the escape, but I am not sure memory serves. Somehow he became a prisoner again on his way back towards Luxembourg but he didn't explain in his memoirs who captured him or how this happened. After spending about two weeks in detention in Alsace, France he was taken in August 1945 to an improvised prison camp in Luxembourg guarded by young thugs who often amused themselves by mistreating the inmates. The following month he was moved to the Grund prison in Luxembourg City, where he had to make bags with paper and glue all day. Soon afterwards he volunteered to join a prisoner bomb disposal squad. He and a few others were taken to Clervaux in the devastated north of the country, where the Battle of the Bulge had raged during the winter of 1944-45. As he was the only professional welder in the group he was assigned the task of cutting up disabled tanks and armored vehicles that littered the former battlefields in the area. In February 1946 he was sent back to the Grund prison to make paper bags again until the following month, when, on his 35th birthday he had to appear in court before a special tribunal. This tribunal had to handle the cases of as many as 8,000 people accused of collaboration with the Germans, so the judicial proceedings were completed very quickly. 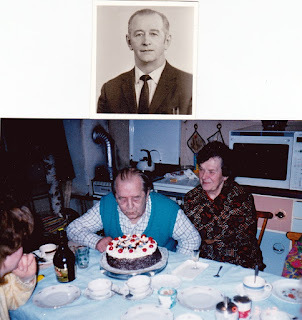 My father was sentenced to an 18-year prison term, even though the court had testimonial evidence that he had never betrayed anyone to the Germans during the occupation, as others had done. In his memoirs he wrote that he believed some of those sitting in judgement or mistreating prisoners might have secretly collaborated with the Germans and betrayed others but were not found out after the war. In addition to the prison term he was also divested of his Luxembourg citizenship and became a foreigner in his own country. In February 1949 the Luxembourg government decided to reduce the sentences of collaborators like my father, who were tried immediately after the war and were given heavy prison terms even though there was no evidence that they had betrayed anyone to the Germans. 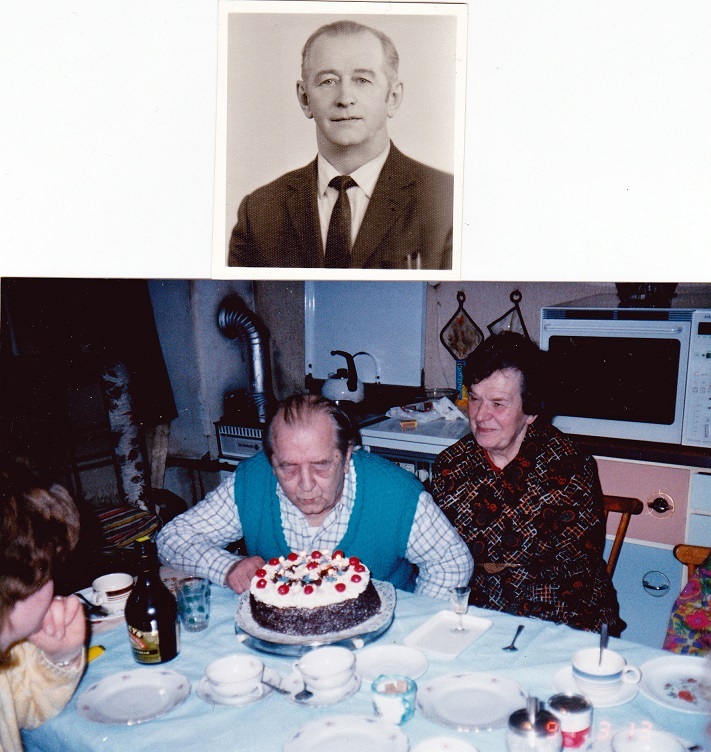 Nic's elder brother “Lux” (as he was known to us) had actually worked with the anti-Nazi resistance, and Nic knew others who did the same but he always kept that information from the Germans. My father was conditionally released from prison at the end of March 1949.